"If you come with us, you're in this life for good." Order your own copy of Across the Galaxy at your local retailer or online through our website today! Across the galaxy, epic battles unfold between the heroes and villains of the Star Wars saga—from guardians of peace and justice, to scoundrels looking to earn a profit, to tyrants ruling the galaxy with an iron fist. When these forces of good and evil collide, who will come out on top? 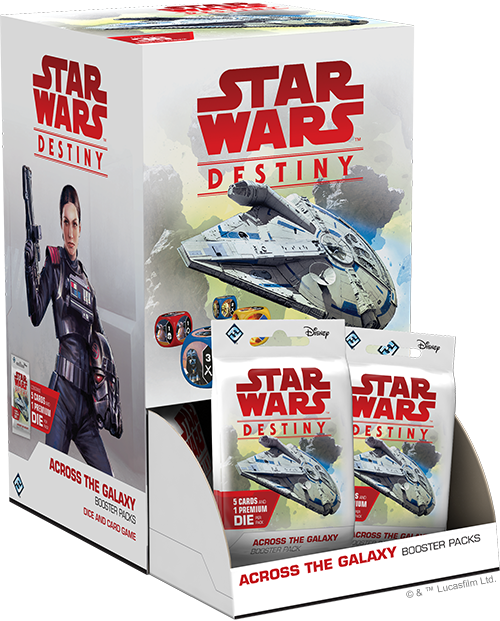 Across the Galaxy, a new set of boosters for Star Wars™: Destiny is available now from your local retailer or our website! 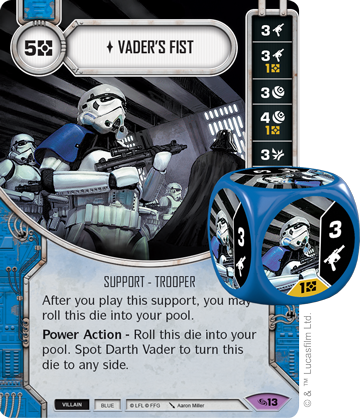 Across the Galaxy features 160 new cards for the collectible dice and card game of epic duels in the Star Wars galaxy. 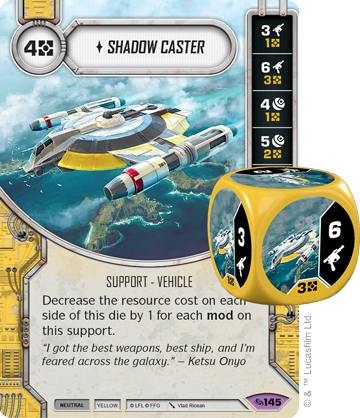 This set introduces the cast of Solo: A Star Wars Story into the game, as well as exciting mechanics like mods that open up new deckbuilding strategies! Before Han Solo helped Luke Skywalker and the Rebel Alliance bring down a Galactic Empire, he was just an inexperienced scoundrel trying to make his way in the universe, and it’s this version of Han Solo that finds his way to Star Wars: Destiny in Across the Galaxy! 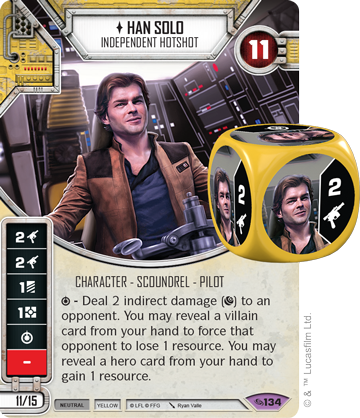 Han Solo Independent Hotshot ( Across the Galaxy, 134) is a neutral character that can get a boost from both hero and villain cards. With three sides that deal damage, Han Solo is an immediate threat on the battlefield, and his ability to manipulate resources can either hinder your opponent or set you up for a big play. Han would be the perfect teammate for Qi'Ra (Across the Galaxy, 135), if both of their elite sides didn’t add up to 31 points. 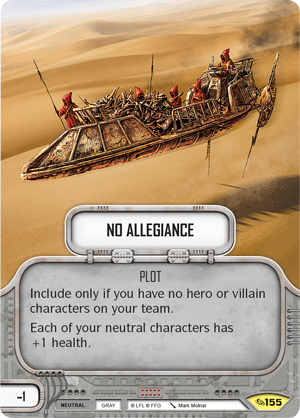 However, with new negative-point plot card No Allegiance (Across the Galaxy, 155), you can form a team with Elite Han and Elite Qi’Ra, and give them additional health along the way. 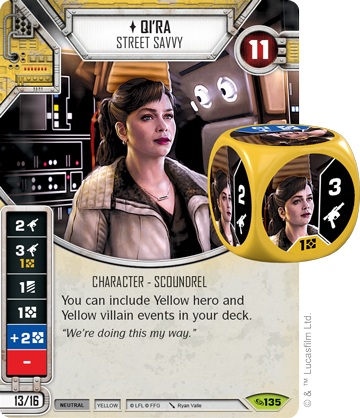 While No Allegiance traditionally restricts your deckbuilding to only include neutral cards, Qi’Ra allows you to include both hero and villain Yellow events in your deck, opening up options and giving you the rare opportunity to choose how you activate Han Solo’s special ability! 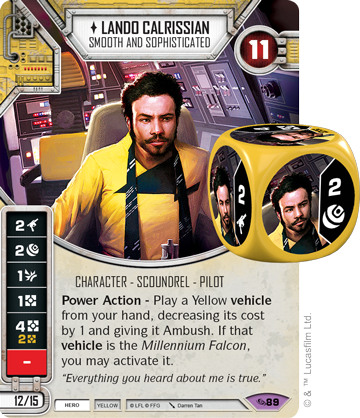 Across the Galaxy features plenty of other cards from Solo, including Lando Calrissian (Across the Galaxy, 89), Dryden Vos (Across the Galaxy, 35), and the Millennium Falcon ( Across the Galaxy, 103) itself! 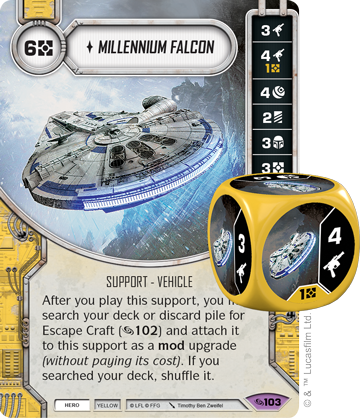 For a full preview of the cards from Solo, click here! 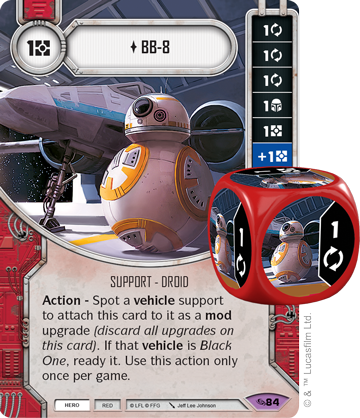 While Star Wars: Destiny has always featured famous vehicles from the Star Wars saga, Across the Galaxy lets you upgrade these vehicles with special modifications! 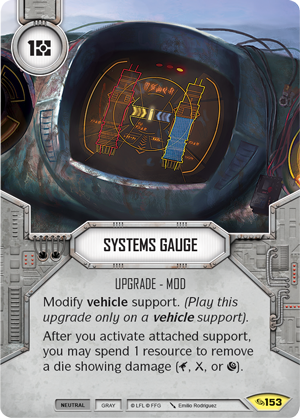 Mods are a new upgrade sub-type that essentially acts as upgrades for various types of supports, with every mod in Across the Galaxy specifically tailored to attach to vehicles. 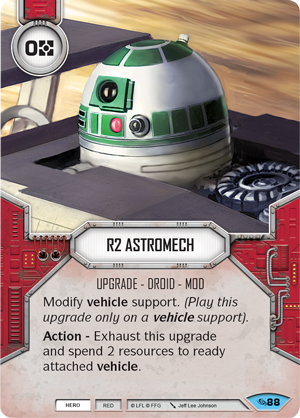 Like any other upgrade, some mods contain their own die that you can roll out with the attached support, while others, like the R2 Astromech (Across the Galaxy, 88), simply provide an independent bonus to their vehicle. Playing plenty of mods can also provide other advantages. Outgun (Across the Galaxy, 81) is a new event that lets you remove a die for every mod on your vehicles. 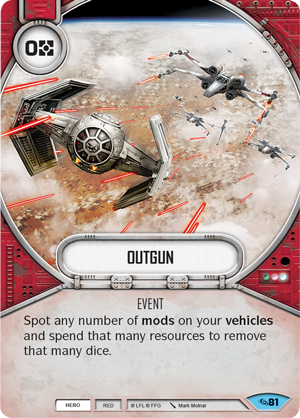 A well-timed Outgun when you have a fleet of vehicles and mods can force your opponent to remove their dice when they need them most, giving you the oppurtunity to attack! 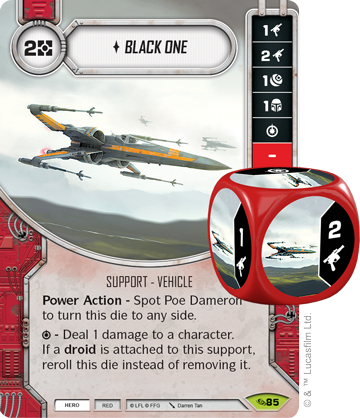 Equip your Shadow Caster (Across the Galaxy, 145) with a Systems Gauge (Across the Galaxy, 153), or roll out in the Black One (Across the Galaxy, 85) with BB-8 (Across the Galaxy, 84)! For a full preview of mods in Across the Galaxy, click here! 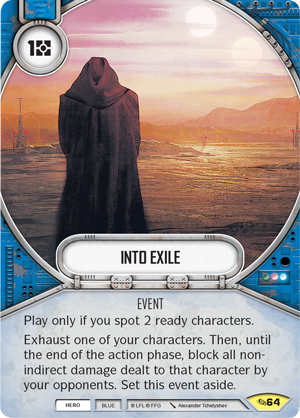 While many characters found in Across the Galaxy appear in Solo: A Star Wars Story, characters from every era of Star Wars are represented in the 160-card set. Old Republic Jedi Knight Kit Fisto (Across the Galaxy, 57) joins the ranks of Blue heroes in Across the Galaxy. The Shii-Cho Master is a defensive powerhouse, able to remove his own dice showing melee damage to deflect incoming attacks. 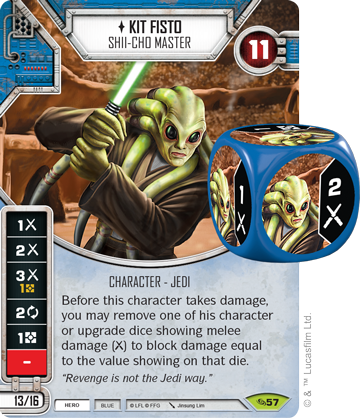 This makes Kit Fisto a difficult target to hit and he becomes even more durable with new tools like Into Exile (Across the Galaxy, 64), an event that allows you to exhaust a character to block all non-indirect damage dealt to them. With Kit Fisto and Into Exile, you can control the flow of damage on the battlefield, controlling the game with overwhelming defensive measures. Not to be outdone, Blue villains get a powerful new character in the form of Darth Vader, Terror to Behold (Across the Galaxy, 1). Hunting down his targets across the galaxy, it is nearly impossible to avoid the damage inflicted by his die. 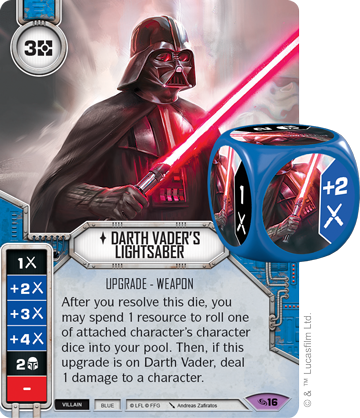 If it's ever removed, you can use Vader's Power Action to roll that die back in. 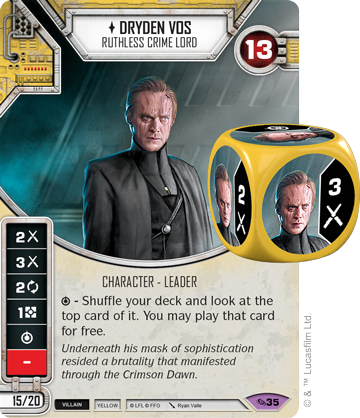 Even more, Across the Galaxy features a suite of cards designed to complement Darth Vader, from his iconic lightsaber (Across the Galaxy, 16) to his personal Stormtrooper legion (Across the Galaxy, 13). 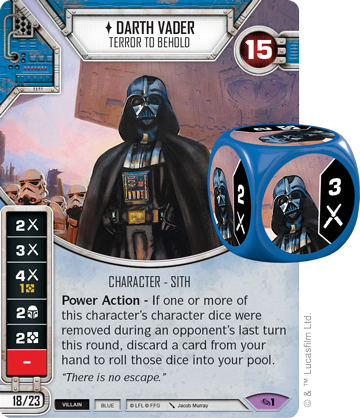 For a full preview of Darth Vader and the cards that spot him, click here! Across the galaxy, wars rage, smugglers try to find their way, and tyrants reign. Where will you find your place among the stars? 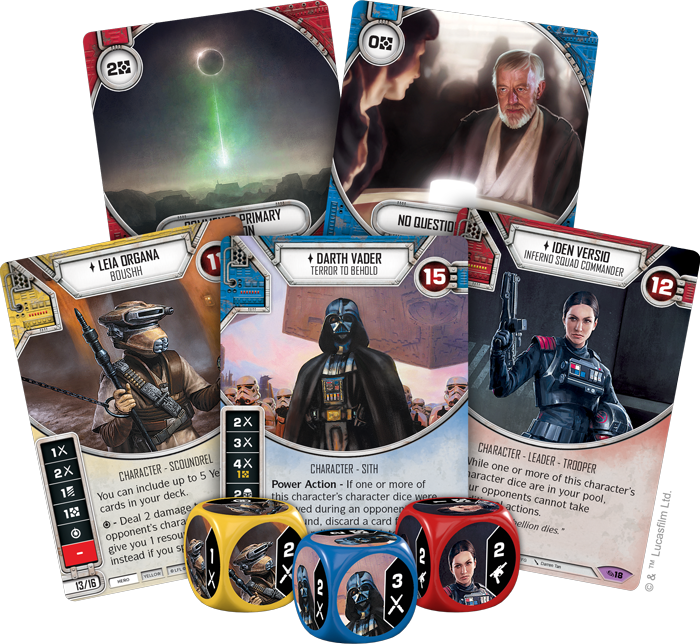 Find out with Across the Galaxy, a new set of boosters for Star Wars: Destiny! Begin a new journey with Across the Galaxy (SWD13), available now from your local retailer or our website!